It’s Valentine’s and True love conquers all… right? But let’s face it, tortured, tragic, doomed romances are more fun to watch. Valentine’s Day is here, and you probably have a great significant other planning a romantic evening as you read this, but if you don’t at least you can take solace on some of TV’s most epic couples… However I’ve come to realize I only like tragically doomed couples. Apparently, not even in fiction I am into ‘fairy tale love’. I wonder what that says about me… Anyway! It is Valentines after all and here is a list of my favorite tortured and complicated couples on TV! I know Downton Abbey is all about Mary and Mathew, but my favorite couple was always Sybil and Branson. I am aware that they encompass every love story cliché in the history of literature and television: different social classes, love in times of war, secret affair, eloping to get married (almost) and the list goes on… but I don’t care! I thought it was sweet and, yes, pretty corny… but it is nice to see that innocent type of love story on TV once in a while. They did the exact same plot-line of the Lady falling in love with her chauffer on Upstairs Downstairs, but it was sordid rather than sweet, so I still like the Downton version better. 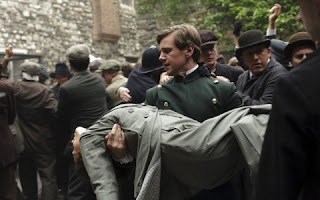 It also didn’t hurt that Sybil was my favorite Crawley sister and I love Allen Leech [mainly because he is Irish]. Of course the ‘fairy tale’ couldn’t last long and she SPOILER ALERT tragically died leaving Branson alone with his newborn daughter… Sniff. I am still devastated about that. With soooo many pairings to choose from on this show, this is the only one I ship. Cristina is my favorite character and it gave me hope that a driven, overly ambitious woman could find a man that was able to handle her. The relationship was rocky from the start and their eventual happiness didn’t last for long. Then it was a succession of break ups and heart breaks… but I still believe they love each other. And all the other relationships are just too boring lately. 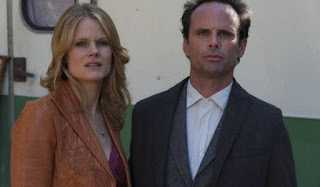 OK they are not technically a couple… yet and yes I am shamelessly promoting this show because I am determined to fight a war against Nielsen Ratings (more on that later) and I naively believe that the internet and social media buzz will eventually be a factor in programming decisions. Good, now that I got that out of my chest we can talk about ‘Vincat’, ‘Catcent’? I am not digging the ship names… Anyway, I am not sure why I like this couple, but I do. Again it is a couple that would totally work under different circumstances due to great chemistry, combined hotness and kindred spirits… but if they were just another happy couple it would be boring. So, of of course they are doomed, due to a tortured past and constant obstacles [Alex], that the writers keep throwing at them. We are hoping that changes in the spirit of Valentine’s Day. And I am just saying, but BATB seems a much logical choice to watch tonight than Zero Hour. I have to say, not for one second did I stop shipping those two; even though they are the most abusive, self-destructive couple on TV and I think Tara should have taken the babies and ran to Portland (or Alaska) like a million years ago. Nevertheless, as everything on the show, there is so much honesty in how they wrote their relationship. I truly believe they love each other, which makes me want them together even when it is completely illogical. Yes, Tara’s love for Jax has landed her in jail and probably destroyed her career… but it was true love for sure, right? Remember what I said about not caring much for ‘fairy tale love’? Well I guess these two are the exception since they ARE fairy tale characters. However they didn’t have a perfect love story which made them interesting. I confess they have gotten a little boring lately, which makes me care more about Belle and Rumpelstinski, wish Red could get a decent boyfriend and Emma would just go for Hook, however wrong. Anyway, the original couple of OUAT were Snow and Charming, and I loved when they didn’t remember who they were and he was married to another woman and they were tortured because they couldn’t stay apart but then… true love had to triumph above all and whatnot. Right now, they are well relationship-wise I guess, but they are still kind of doomed with a new evil character popping up each week with some new brand of curse. There are some couples on TV that I love too, but they didn’t quite fit my ‘tragically doomed’ theme. However I thought I could mention them. Some of these were suggested by readers and friends. Castle & Becket (Castle) – We have to give the writers some props for not waiting as long as Bones to get the two leads together. Auggie & Annie (Covert Affairs) – Annie will never be as cool as SydneyBristow… but I do love Auggie. Leonard & Penny (The Big Bang Theory)- This pair was suggested by a friend who also pointed out that she would rather see Leonard with herself (guilty crush, anyone? ), but who am I to judge, I have a secret crush on Tyrion Lannister for crying out loud! 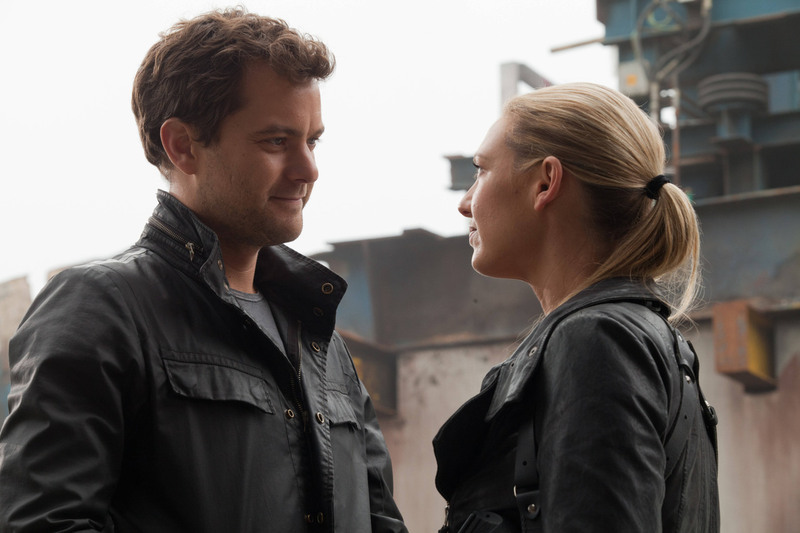 Sean & Juliette (Psych) – We know the true romance of this show is between Sean and Gus, but Juliette and Sean are OK too. Finally, I want to wish farewell to some of my favorite couples of shows that ended this year. The only bright spot of a preposterous (albeit entertaining) teen drama. On a show where everybody hooked up with literally everybody and all the characters were ‘morally flexible’, to say the least, it was incredible that the most honest relationship was between the two original baddies of the show: Blair and Chuck. And although Blair remained true to her devious bitchie nature until the end, Chuck actually became a pretty decent human being. Anyway, they were the best pairing on the show and somehow they did became the central focus even when I the original intent was to make the show about Dan and Serene, for whom I couldn’t care any less. Talk about tortured. Those two never had it easy. Their love story was always of secondary importance given that they were a little busy saving the world… scratch that, ‘saving the worldS’. Joshua Jackson explained their relationship better than me: “It is your typical – Boy meets girl, boy crosses universe, girl goes to other universe, boy sleeps with her, doppelganger gets pregnant, has baby too fast, baby gets axed out by inter-dimensional war, new baby is born, lost in the future, finds dad searching for mom – story”. In the middle of all that, somehow they made it work. What I loved the most about them is that they weren’t a mushy type of couple and they had one tender moment every five episodes, usually when somebody was about to cross over to another universe, disappear from a time-line or be the subject to a possibly lethal experiment. I am so glad that in the end, they got their happy ending (sans Walter sniff) A white tulip to us all. I'm just 1 of thousand of "Beasties" around the world (Argentina in my case) that are very grateful cause your words, we love B&TB so much and we are trying to save the show. Thanks in Vincat's name! Me encanta ver que tengo lectores de todas partes del mundo! Y si, todos estan tratando de salvar el show.... Planning a post about ratings and how fans can make a difference for next week.... keep an eye out for it. Saludos! I too appreciate the good words on BatB. You know that a TV couple is hot when they blaze up the screen with just looks and one-liners. VinCat has yet to kiss (they've barely even touched!) and still they leave us all panting. Favorite ship thus far. Definitely worth a second season. Agree... we can only hope and keep buzzing. And BTW how hot was the 'almost kiss' on the last episode? I just can't seem to be able to shut up about it, loved that scene. Happy to see Ava and Boyd on the list as well as Catherine and Vincent. Those are two of my favorites on TV at the moment. Hi TVEmpress...I just recently came across your blog doing a little BATB research online. I am still reeling from the loss of my favorite TV show and all-time favorite couple. I recently watched all 70 episodes in a weekend (yeah, do the math - it happened). I am a sucker for a good TV romance. I love epic couples and after reading your blogs, value your opinion. Any recommendations for a show with an amazing love story? Like Vincat amazing? I have already seen these other CW shows - TVD, Gossip Girl, OTH, Reign....I am a sucker for the CW (at 31 btw). Can be recent or old...doesnt really matter to me. Preferably something I can binge on some eps, but it's ok if it's still on the air too. Any help would be appreciated. Only so many times back to back you can watch all four seasons of BATB...maybe.